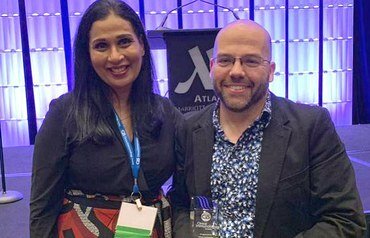 A series of research publications from A/Prof Elissa Deenick and Prof Stuart Tangye has unpicked an intricate network of the human immune system. At Garvan, A/Prof Elissa Deenick and Prof Stuart Tangye have been researching the role of immune cells for over 12 years. 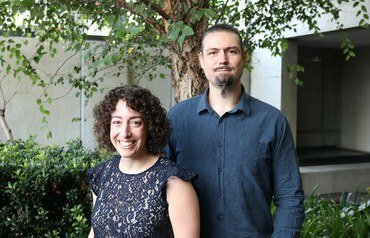 Their work uncovering how rare variants, or changes, in a gene called PIK3CD drive an immune imbalance in patients is just one example of Garvan’s world-leading immunology research, providing hope to those affected by rare immune conditions and uncovering details about the body’s mechanisms that drive disease. “By understanding rare cases of autoimmunity and how single gene variants can throw the immune system off balance, we hope to understand what underpins autoimmunity and immune deficiencies more broadly,” says researcher A/Prof Deenick, Head of the Lymphocyte Signalling and Activation laboratory at the Garvan Institute and UNSW Scientia Fellow. 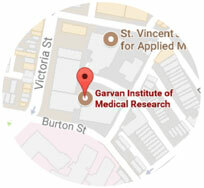 In 2013, researchers from the National Institutes of Health in the US approached Garvan researchers to help identify the underlying cause of a rare immune condition. Fourteen patients from seven different families had presented with the then undiagnosed condition and a range of common clinical symptoms, including enlarged lymph nodes and spleens, poor responses to vaccines and microbes, and an inability to control viral infections. These patients had one thing in common – variants in the PIK3CD gene which encodes an enzyme called PI3K that carries signals within cells of the human body. 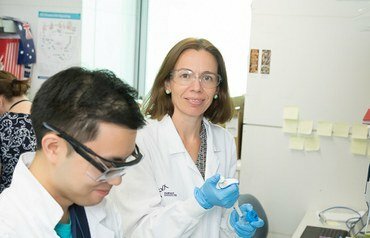 The NIH researchers, together with A/Prof Deenick, Prof Tangye and their teams, analysed the patients’ blood and discovered abnormalities in their immune cells, including that the enzyme PI3K was overactive. The group published the findings in Nature Immunology in 2014. But the driver behind the imbalanced immune responses in the condition, which had since been termed ‘activated PI3Kd syndrome’ or APDS, was still unclear. A/Prof Deenick, Prof Tangye and their teams took a closer look at the patients’ poor antibody responses to certain infections and vaccinations. As B cells are responsible for producing antibodies, the team suspected abnormalities in the patients’ B cells. The Garvan researchers enlisted the help of Garvan’s Prof Rob Brink, Head of the B Cell Biology laboratory, who engineered mouse models carrying the patients’ PIK3CD gene variants . “We discovered a few problems with these variant B cells – they did not mature properly, and also the patients with PIK3CD variants had fewer memory B cells, which ‘remember’ how to protect you after you get vaccinated and then get the actual infection,” explains A/Prof Deenick. In 2018, A/Prof Deenick and Prof Tangye published these findings in Journal of Experimental Medicine. But investigating one cell type was not the full story. While the researchers observed some issues in the B cells, other aspects of their responses were normal, so the team took one step back to investigate a type of immune cell the B cells interacted with – CD4+ T cells, which coordinate immune responses and stimulate B cells. In a paper recently published in Journal of Allergy and Clinical Immunology, A/Prof Deenick and Prof Tangye’s teams showed that the PIK3CD variants caused both human and mouse CD4+ T cells to become dysfunctional. “This work has really helped us understand why these patients get a lot of infections. But there’s still a lot we don’t fully understand about these patients, like why they have higher rates of lymphoma and autoimmunity,” says A/Prof Deenick. Together, the findings are an example of the vast complexity of the human immune system. But unpicking the details of this complexity, she says, has broader implications.